Happy Monday, all! After a whirlwind trip to Ohio to teach at the Simon Says Stamp Create event, I’m back home and getting into the swing of things again. 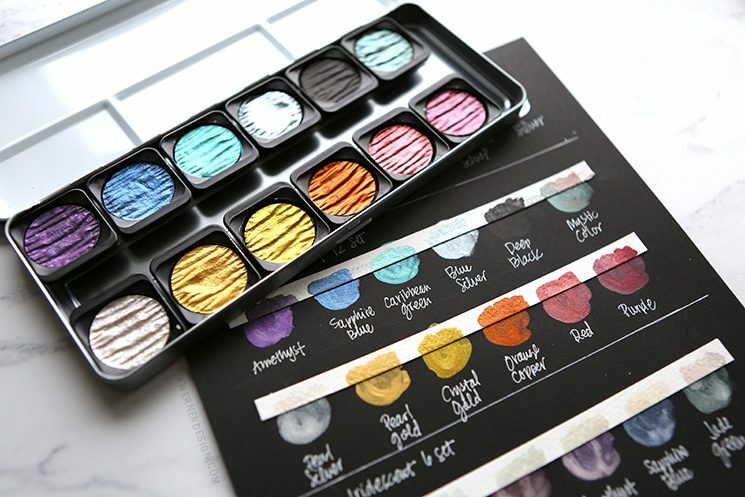 Today I have a much anticipated video on the new Finetec watercolor palettes. It’s taken me a little bit of time to track down some information on the palettes and where they fit into the Finetec line, so here we go! 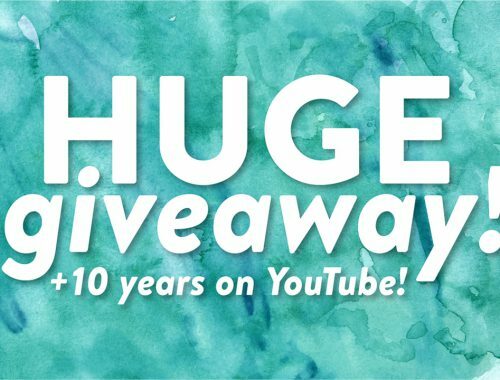 NOTE: The information here in this blog post and in the video above is accurate to my knowledge. I have not spoken with or heard directly from any parties involved in the manufacturing or distributing of the watercolors. This is just what I know. Also, compensated affiliate links are used. A few years ago, I saw many calligraphers and lettering artist using a “Finetec Gold” palette. I researched it and found the very popular German-made palette being sold in a few places online. I purchased my gold palette from John Neal Bookseller. A while later, the additional 12-pan set came about as well (which I also purchased from John Neal) and two smaller 6-pan sets (which I purchased from Amazon). 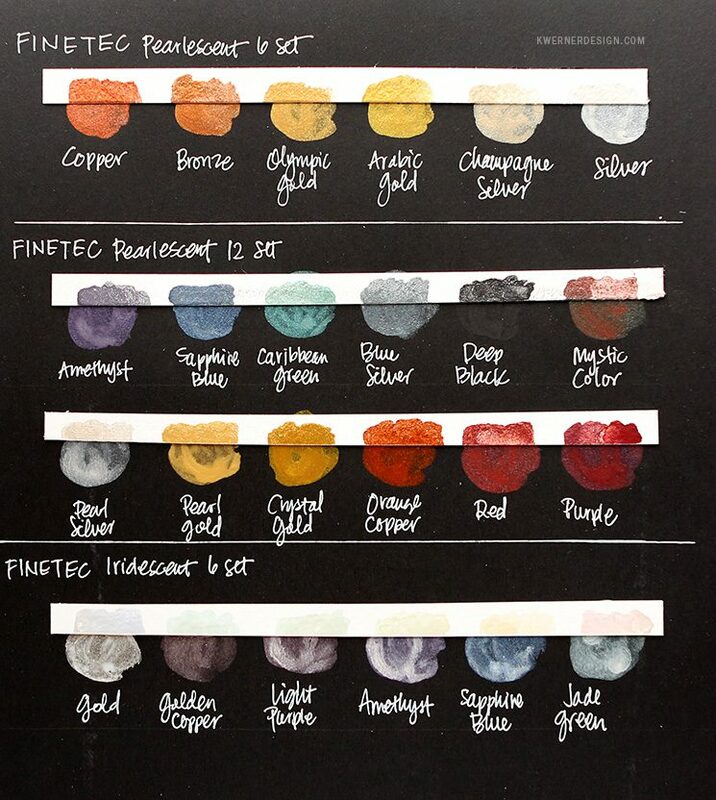 At the end of 2016, I saw that there were new watercolor sets from Finetec being offered at John Neal. I preordered all five sets. After they arrived, I swatched them and they were all beautiful. However, many of the colors appeared in multiple sets. I wanted to share a video here with my thoughts on the palettes, but the palettes sold out quickly and I wanted to wait until they were more readily available. In the mean time, Simon Says Stamp was trying to get some of the palettes in stock. They contacted the Finetec company in Germany and were sent to Alvin, a wholesale distributor, to order Finetec products. They were told that new Finetec palettes were soon coming out and they ordered the new palettes. After the new Finetec palettes arrived, Simon sent me the palettes (thank you, Simon!). I was surprised to see that these were completely different palettes than what was being sold at John Neal. What happened with the palettes? 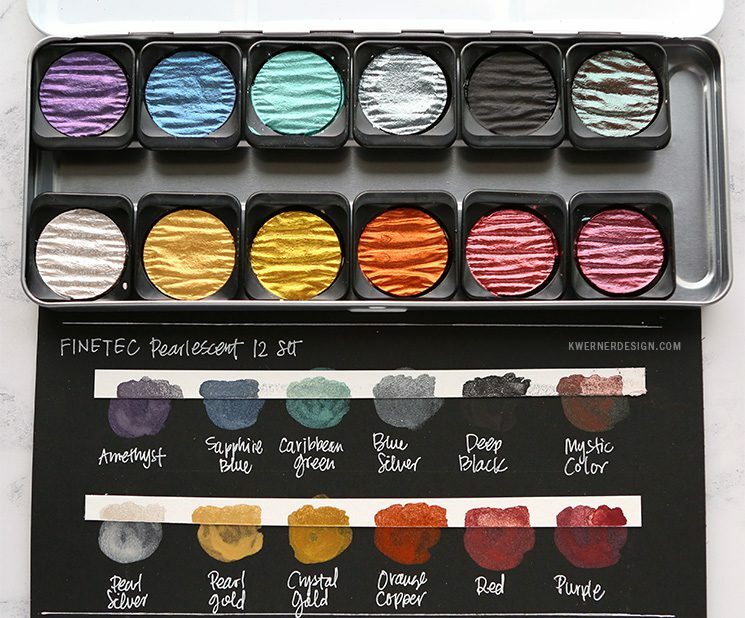 What’s Up with All the Different Finetec Palettes? The original manfacturer of Finetec watercolors is a Germany based company called Coliro. They still manufacture the paints and sell them online to this day. A couple years ago (I’m not sure exactly when), Alvin purchased the rights to distribute Finetec products in the US, Canada, and elsewhere. They would get the palettes from Coliro and sell them. Many companies use distributors, especially to sell in different countries and markets. Alvin is a distributor like that. I found my swatches to be similar to those shown above. 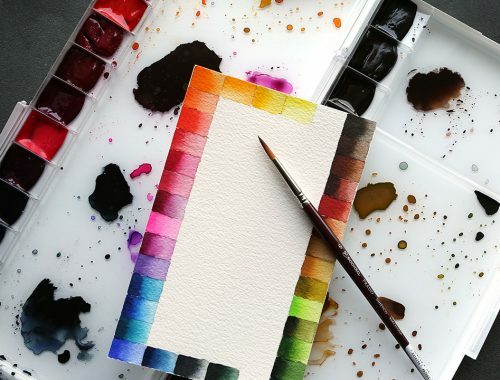 I thought the new Alvin palettes had colors that were a bit more concentrated and “creamy.” Some colors seemed the same as the original Finetec palettes (and had the same names) and others were completely new colors. 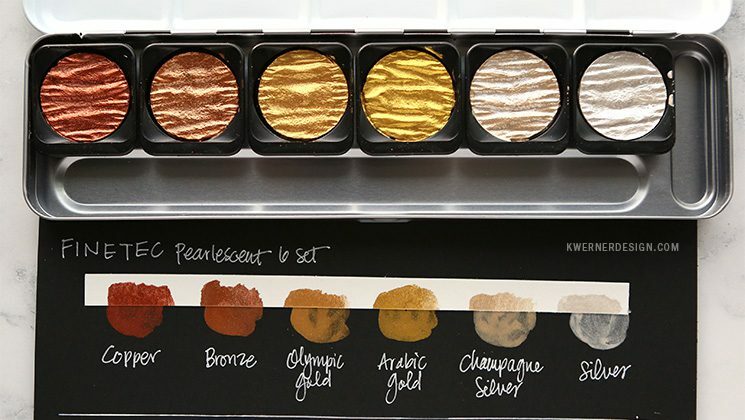 The 12-pan Pearlescent set is the one that I would recommend everyone start out with. The color range is great and you have some metallic shades as well. The colors appear on both dark and light surfaces. These colors also appear well on both dark and light surfaces. 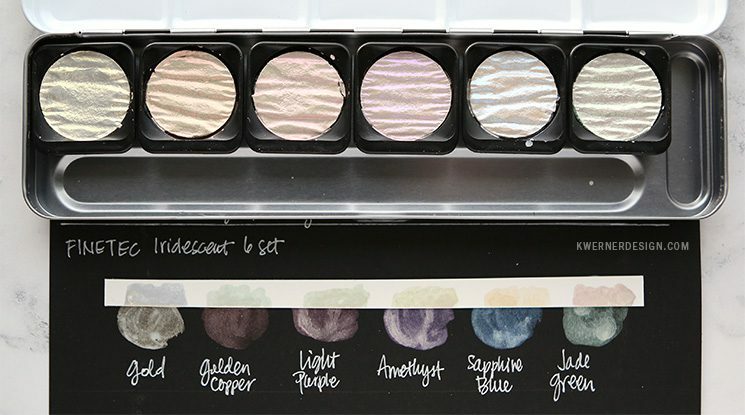 The Pearlescent 6-pan set has all metallic shades. I think this set would be particularly good for letterers and calligraphers since these are some beautiful traditional shades. I would say this set is the most similar to the all gold set sold previously. As you can see below, the Iridescent 6-pan set doesn’t appear much on lighter surfaces, but the sheen on dark surfaces is beautiful. I mention it in the video above that there is an Amethyst and Sapphire Blue in the 12-pan Pearlescent set as well, but since these are iridescent, they appear a bit differently. Overall, I think these new sets are equal quality when compared to the original palettes. The new colors are bright and vibrant and, in some cases, more creamy and pigmented. I think the changes they’ve made to the palettes are worth it. 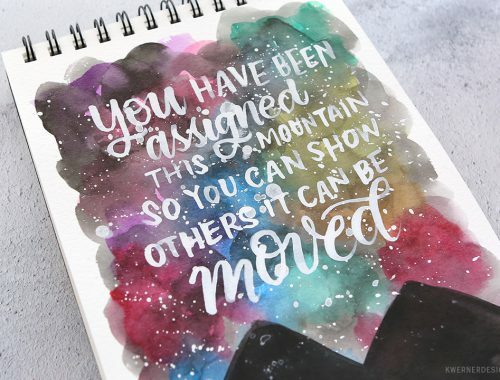 The colors work easily with brush and pointed calligraphy as well. 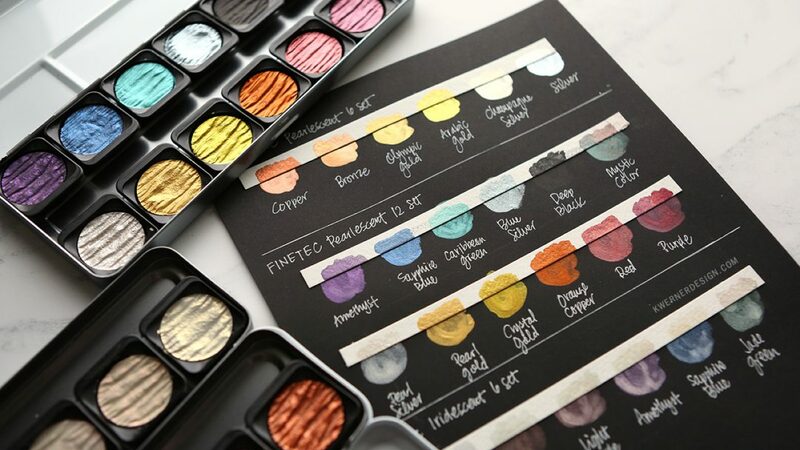 You can find all three Finetec palettes at Simon Says Stamp.